Original Ribbed Cuff Boot Socks is rated 4.1 out of 5 by 21. 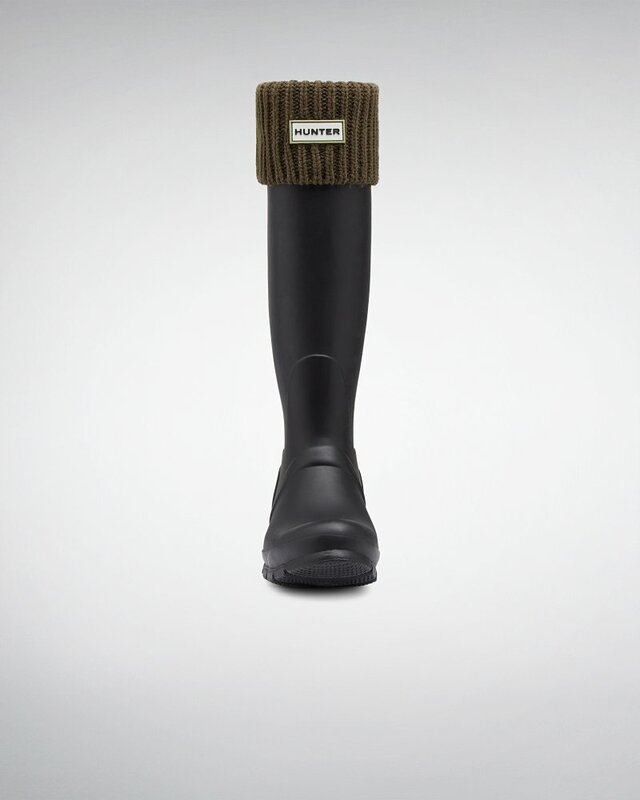 These boot socks are made from soft microfleece with a ribbed cuff. Designed to enhance fit, while giving added comfort and warmth, our socks can be worn folded over to personalize your Hunter rain boots. Rated 4 out of 5 by Lisa from looks and feels good, although it makes my boot quite snug. i bought the boots first and the sock second. in the future i'd buy them at the same time to adjust for the extra space the sock takes up. Rated 4 out of 5 by Richard from Love them. Thought they'd be a little warmer, but it is only 1 degree here right now! Rated 5 out of 5 by Parker from They fit great with the boots and are warm and thick. Should be great for the winter. Rated 2 out of 5 by Susie from Good idea but the material sheds. For the price I would expect a better material.